I was walking towards Stillwater Pond in Fahnestock State Park when I spotted this spider web. It seemed to just float in the air with no apparent means of support, backlit by the sun. 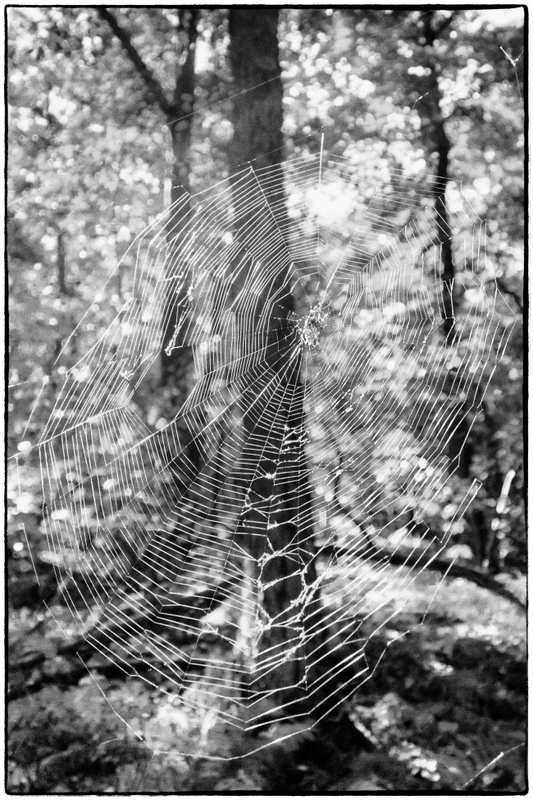 I liked the original color version, but the brights yellows and greens and greens in the background seemed to distract from the web itself so I decided to convert it to black and white. Unfortunately in the conversion I pretty much lost the spider itself, which was large and a bright red color. You can see it as a dark blob at the center of the web.